It’s like you’re Professor X, except not bald and crippled. A single player game utilizing the wonders of a cooperative game play, MindJack is set in the year 2031 and revolves around the story of Jim Corban. Corban is an FIA agent whose mission is to locate and follow a target named Rebecca Weisz in the midst of a declining global government. 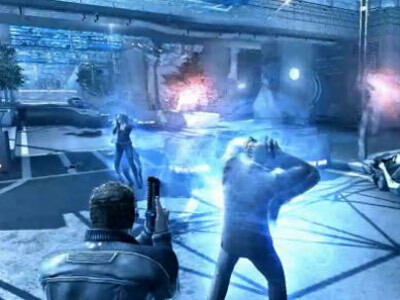 The game’s war environment is big enough for a shoot-and-hide type of battle, and the weapons and vehicles available in the game looks ala-Minority Report. Here’s the awesome part: You have the option to hack into enemies, vehicles, and civilians, allowing you to control them to help your character advance through the game. That means Jim can create impromptu allies in between missions. Use the Mind Hack Skill to hack into a person’s brain and take over his body. The Mind Slave Skill allows your player to hack into an enemy’s brain to make him an ally. You can also continue your battle even after getting killed by mind hacking through bodies. The online mode also makes good use of the mind hack feature, pitting the blue team on a campaign story against the red team. The blue team allows players to control Jim, Rebecca, and civilians, while the red team allows you to use drones and armed soldiers. The host player will play as the main character, while those who will join will come off as digital wanderers, spirits that are able to continuously hack into any body every time they are killed in action. It’s an up-to-sawa version of a futuristic war.